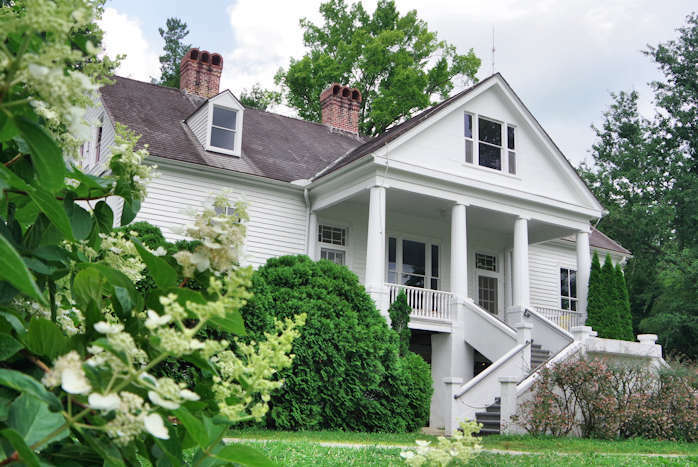 Even if you have never heard of the famous writer Thomas Wolfe, his sprawling 29-room "Old Kentucky Home" and its history are very fascinating. His classic of American literature, Look Homeward Angel, has never gone out of print since its 1929 publication, keeping interest in Wolfe alive and attracting visitors from around the world to the novel's setting. Get started in the visitors center located behind the house (52 North Market Street in downtown Asheville). Before your guided tour, watch a short film and read about Wolfe's life. The Thomas Wolfe Memorial State Historic Site is open Tuesday-Saturday and admission is just $5/person. Allow about 1.5 hours to visit. Thomas Wolfe left an indelible mark on American letters. 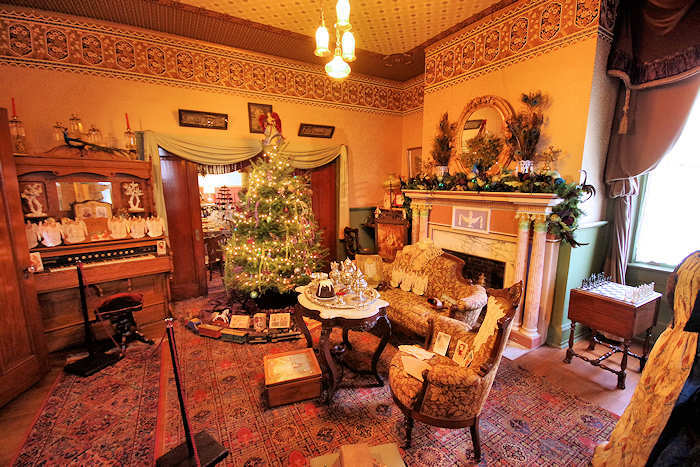 This home was his mother's boardinghouse and has become one of literature's most famous landmarks. Named "Old Kentucky Home" by a previous owner, Wolfe immortalized the rambling Victorian structure as "Dixieland" in his autobiographical Look Homeward, Angel. Thomas Clayton Wolfe, the youngest of eight children, was born October 3, 1900, at 92 Woodfin Street in Asheville. His father, William Oliver Wolfe (1851-1922), was descended from hardy Pennsylvania German-English-Dutch farmers; his mother, Julia Elizabeth Westall Wolfe (1860-1945), was a third-generation North Carolinian of Scots-Irish-English stock. 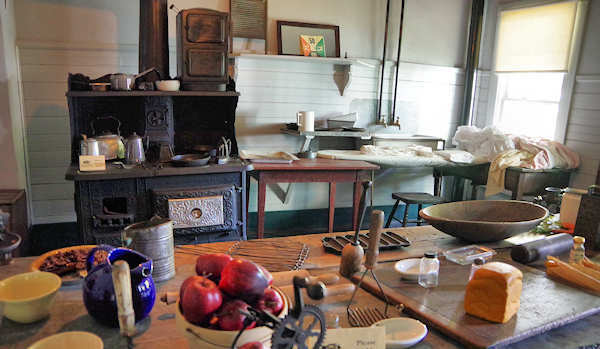 Surprisingly, Julia Wolfe did not operate the boardinghouse because of financial need. W. O. Wolfe made enough money from the tombstone shop he owned and operated on Asheville's city square to support the family. But former teacher Julia was obsessed with the real estate market and used profits from the boardinghouse's operation to buy more property. A shrewd and hard-nosed businesswoman, Julia Wolfe was remembered as a "driver of hard bargains" by family members. 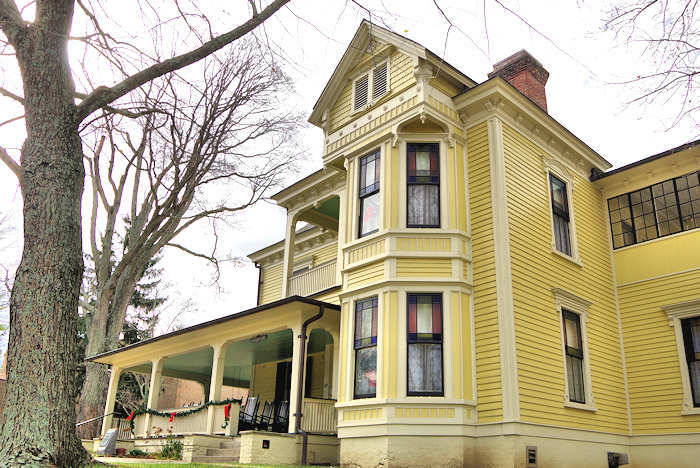 The Queen Anne-influenced house was originally built in 1883 with only six or seven rooms. By 1889, additions had more than doubled the size of the original structure, but the architecture changed little over the next 27 years. 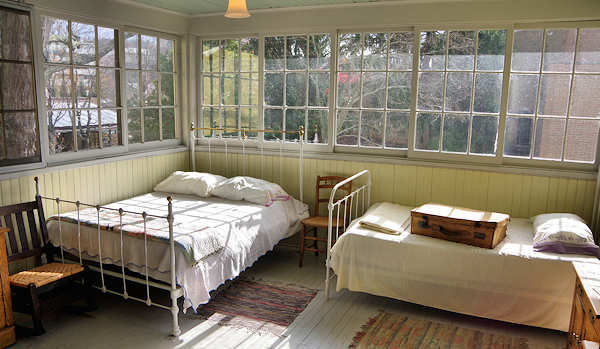 In Look Homeward Angel, Thomas Wolfe accurately remembered the house he moved into in 1906 as a "big cheaply constructed frame house of eighteen or twenty drafty, high-ceiling rooms." In 1916, Wolfe's mother enlarged and modernized the house, adding electricity, additional indoor plumbing, and 11 rooms. 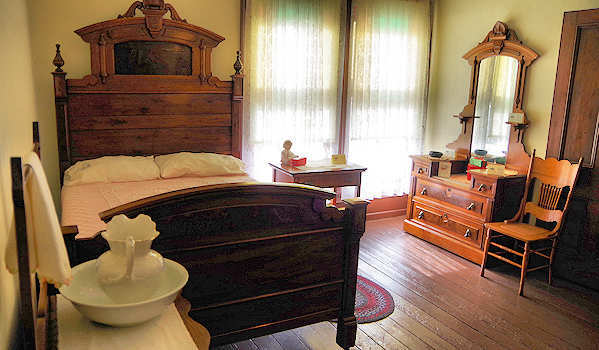 Today the boardinghouse where Thomas Wolfe spent his childhood and adolescence feature furnishings that evoke the daily routine of life in both fact and fiction. In Wolfe's second novel, Of Time and the River (1935), 14 years before the "Old Kentucky Home" became a memorial, Wolfe already had intuitively assessed the house's true importance. He said his mother's "old dilapidated house had now become a fit museum." 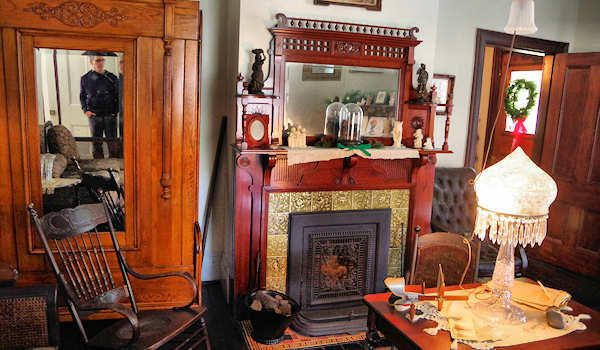 It is preserved almost intact with original furnishings arranged by family members very much the way it appeared when the writer lived there. 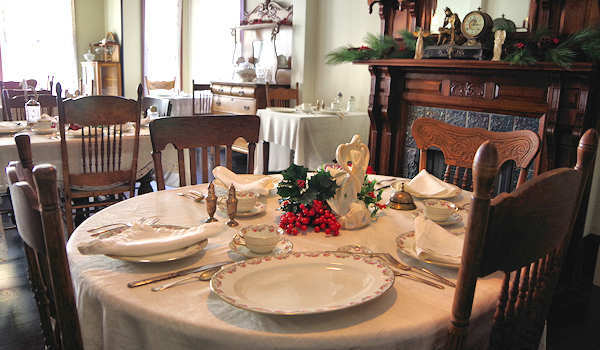 Memories, kept alive through Wolfe's writings, remain in each of the home's 29 rooms. 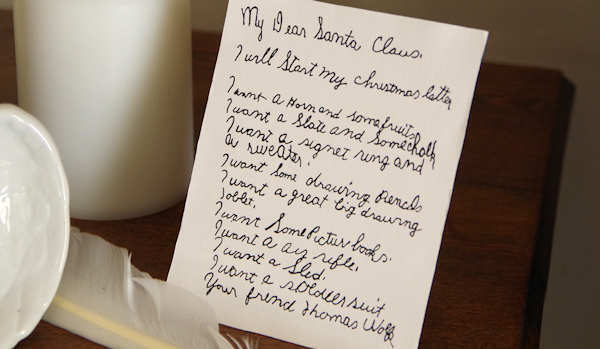 During the holiday season each year, look for a copy of Thomas Wolfe's handwritten childhood list for Santa Claus! Simple Christmas decorations, including many angels, adorn the home starting the Tuesday after Thanksgiving through the end of the year. Thomas Wolfe was perhaps the most overtly autobiographical of this country's major novelists. His boyhood at shaped his work and influenced the rest of his life. So frank and realistic were his reminiscences that Look Homeward, Angel was banned from Asheville's public library for over seven years. Today Wolfe is celebrated as one of Asheville's most famous citizens, and his boyhood home has become a part of our nation's literary history. Of Time and the River was a continuation of Look Homeward, Angel and Wolfe's last two major novels (published posthumously), The Web and the Rock (1939) and You Can't Go Home Again(1940), followed the events of his life in New York and Brooklyn, his wandering travels through Europe, his success as a novelist, and his final sad revelation of "you can't go home again." Thomas Wolfe died in the prime of his life of tubercular meningitis on September 15, 1938, 18 days short of his 38th birthday. 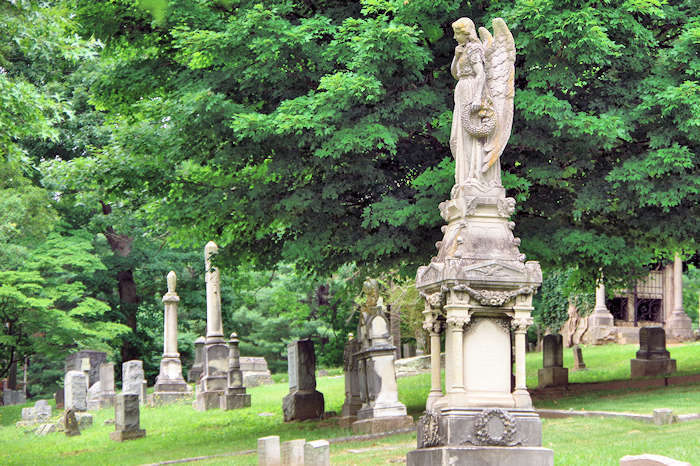 He is buried in Riverside Cemetery. Wolfe's mother lived in the "Old Kentucky Home" until her death in 1945. Four years later her surviving sons and daughters sold the house to a private organization, the Thomas Wolfe House Memorial Association, and it opened to the public as a house museum on July 19, 1949. The association continued to operate the memorial until 1958, when it was taken over by the City of Asheville. On January 16, 1976, the North Carolina Department of Cultural Resources acquired the property. 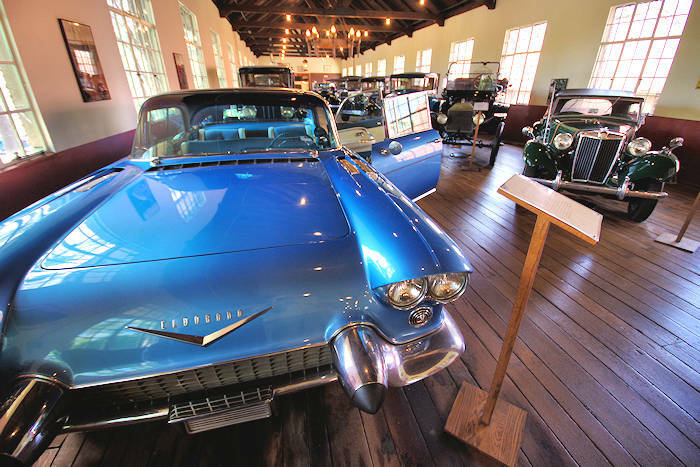 It's now a North Carolina State Historic Site.